As another year begins most of us make plans for what lies ahead. I have no major plans myself as Im just going to keep doing what I was doing in 2012. Here’s the 5 main things I will be focusing on in 2013, I suggest you do the same. I have been stating the importance of creating your own products since 2004 and nothing has changed since then. If you truly want to be successful you simply must be creating your own products. Yes, you can make money in other areas such as affiliate marketing but if you create products of your own with an effective affiliate program you will have other people driving traffic to your offer. Behind every successful marketer is a collection of products they have created, the more products you create the more successful you will become. I plan to release quite a few products this year just as I did last year. Everything you do online should work towards building your mailing list(s). This means having opt-in pages on your blogs, (I actually have 4 opt-in forms on my blog, can you find them all?) your sales pages, your affiliate pages and your thank you pages. Just about every single page you create should give the visitor the option to enter their name and email to connect with you. Every day you put off building your mailing list is another day of wasted opportunity. If you get the funnel right you will have affiliates climbing over themselves to promote your offer and your customers begging to buy more from you. So many people thought I was crazy to sell Simple Traffic Solutions for only $5 but they didn’t see the funnel I had in place. A funnel that has just under 1000 monthly paying members that will probably generate over a million in sales in 2013. One thing I did with Simple Traffic Solutions what most marketers don’t was offer 50% commissions throughout the whole funnel, including the backend offer. This made the offer so appealing to affiliates they were coming to me to promote my offer. You can check out the whole funnel here. My plan is to build more funnels like this and to incorporate them into more of my launches in 2013. While all of the time rewarding affiliates for their efforts. Remember, the more money your affiliates earn the more affiliates you will gain. This is something a lot of people don’t focus on or tend to neglect. So many marketers operate online and all they think about is themselves. Remember that the connections you form are the building blocks to a successful business, you will need affiliates to help with launches, you will need help from other people from time to time but also remember that other marketers are building their businesses too, so be there for them when they need you because if you don’t you’ll find the online marketing world a very lonely place when people see you don’t reciprocate and choose to work with other marketers. I have many plans for 2013 that involve working very closely with other marketers and my students, this is something that will never change. 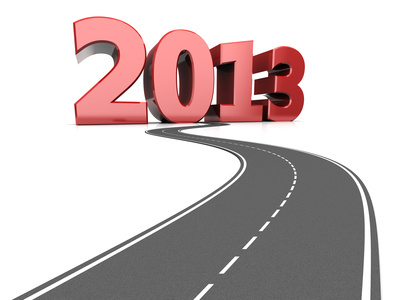 I will continue to learn more in 2013, I will continue to look for new trends, new methods and new ventures. I will continue to learn new things, try new tools and educate myself further. You need to realize that you need to continue to learn new skills, to evolve and move with the times because if you don’t you will get left behind. So keep learning and make yourself a wiser marketer because the more you learn the more you earn. Most people will say ‘I can’t’ when all they have to do is learn. Never ever say you can’t when you have the biggest learning tool at your fingertips. The Internet. What plans do you have for 2013? Feel free to share. This entry was posted on Tuesday, January 15th, 2013 at 1:36 pm	and is filed under General. You can follow any responses to this entry through the RSS 2.0 feed. You can leave a response, or trackback from your own site.